SIAL China is an international trade fair for food and one of the largest fairs for Asian food in China. It takes place once a year in Shanghai and is authorized to trade visitors only. As a global business platform of the industry and as the leading event for the Chinese food market it offers national and international companies the opportunity to increase their awareness on the Chinese and Asian markets and to strengthen its international visibility. Food manufacturers, distributors, importers, wholesalers and retailers, as well as representatives of institutional and commercial catering are meeting at SIAL China to experience lively the latest products, the most demanding gourmet products and the most innovative solutions in the industry. It offers the unique opportunity for meeting the market leaders of the food, beverage and hospitality industry in China, for building up new contacts and for finding new suppliers and business partners. With the accompanying conference it also covers the knowledge and information exchange between industry experts on current issues, trends and future prospects. 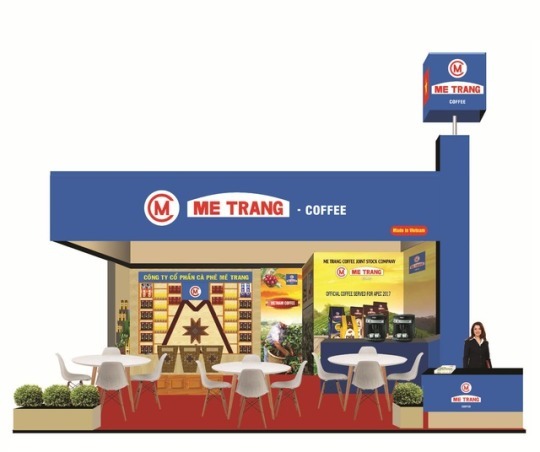 Me Trang coffee take part in SIAL China to introduce our products, expand market, advertise Me Trang Coffee brand – Vietnamese coffee to Asia and international customers. This is the opportunity to Me Trang coffee meet, promote trade to international partners. Previous, Me Trang took part in many international food & beverage exhibitions as: Cafe Show ( Seoul – Korea) Worldfood Moscow (Nga); Madrid Fusion (Philippin) and achieved great successes. The SIAL China will take place on 3 days from Wednesday, 17. May to Friday, 19. May 2017 in Shanghai.